Hey friends, you are invited to join me for CONNECTIONS. 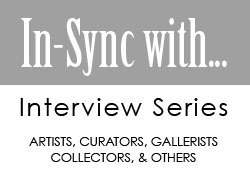 Four amazing Chicago choreographers have selected 4 of my paintings as an inspiration to create 4 unique performances with a cast of talented dancers. There will be only TWO live performances. I will discuss my work at the end of the performance. February 2 and 3 at 7:30pm. Location: Dovetail Studios, 2853 West Montrose Ave., Chicago. Still Inspired is a production of Laura Thurston. Space is very limited.